Permission to run the images in this post was provided by Random House. For more information about the giveaway, please scroll to the bottom of this post. Every-Day Dress-Up, as well as the other books I mentioned above, can be offered as a mentor to the little girls as alternatives to the princess stories they often wish to write in writing workshop. By exploring alternatives to princess stories, it’s possible that we can inspire girls into new ways of thinking about the stories they wish to tell. My mother-in-law, who is a retired literacy specialist and reading recovery teacher found Every-Day Dress-Up in Isabelle’s play room (which is the biggest nod I can give to a picture book these days) and read it. When she was finished she said, “Every little girl should have this book.” She’s right. It should be on a every girl’s bookshelf since it will inspire girls to not only aspire to be like the great women of our society, but it will inspire them to be great themselves. 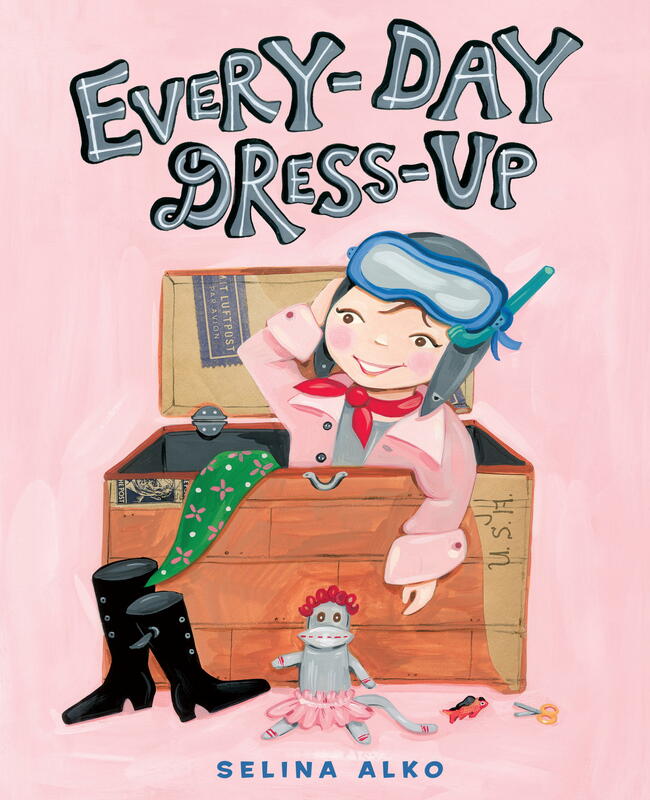 Thank you to Random House Children’s Books for agreeing to sponsor a giveaway of one copy of Every-Day Dress-Up. To win a copy of the book please leave a comment about this post, in the comments section of this post by Saturday, December 3rd, 2011 at 11:59 p.m. EST. A random drawing will take place on Sunday, December 4th and the winner’s name will be announced in a blog post later that day. Please be sure to leave a valid e-mail address when you post your comment so I can contact you to obtain your mailing address and have my contact at Random House send the book out to you. Please note: Your e-mail address will not be published online. ← Happy Thanksgiving to Our TWT Readers! Oh Stacy, I just love this. I have 2 boys so I don’t see the princess syndrome often. My niece is obsessed with princesses and it makes me gringe. This would be a great book to share with her when she visits. Thank you for the giveaway. Wow! This looks amazing! I’ve read Cinderella Ate My Daughter because, despite my best efforts, I have a princess! She loves dressing up as anything, although lately its been Lava Girl!! i think this is a book my first graders must hear! and ps- even though the paperbag princess is technically a “princess” book, elizabeth is one of my all time favorite strong female characters! I’m looking forward to reading this book – maybe it will become my next Book for Saturday’s Child entry. I love the description of this book and would look to win a copy! My grandaughter is 5 and has been bitten by the “princess syndrome” for the last 2 years! Can she still be saved?????? I would love to give this book to her for Christmas. What a great concept, thank you for sharing this book. I can also see it used as a writind idea for all…who inspires you? I need to read the whole book. This sounds like something great for mentor text. My daughter needs this! And it wouldn’t hurt some of the at-risk teens I teach either. Great review. Thanks! That sounds like a great book for my 3 year old…she does like the princess stuff and I have no idea how. What a creative new book, can’t wait to get a copy! Thanks for posting. This looks like a great book and I’ve already added it to my Amazon wish list! Thanks for sharing this! My daughters enjoy princesses but they also enjoy everything else and will dress up as many different things. The joy they find in dressing up is amazing to watch and I look forward to sharing this book with them. Stacey, thank you! I too have avoided princess attire and hope my little lady doesn’t get entranced by the princess phenomenon as she gets older. (I guess time will tell!) If she does, hopefully this book can help us balance between reality and fantasy. Again, thanks for shedding light on a great book. I am always amazed at how thoughtful you are as a mommy. The world is a better place because of people like you and Ruth raising children! I need this book for my niece and then my classroom! Thanks for sharing! I love the idea of this book. I have a granddaughter that is being pushed into the princess mode. This book would be great for her. Even if I don’t win it I will definitely buy this one. Thanks for the review. What a delightful book to share with children, especially girls. What a wonderful idea….to encourage dress up as someone other than a princess…..sooo many choice of who to be! I think girls will love this book! From a mom of a princess loving 4-year old, I truly appreciate this book. Thank you for highlighting it. I will be making sure our library at school has a few copies as well as one for my “princess”! What an awesome book. I wished it had been published when my youngest daughter was little. She was quite a princess. Wait – she still is a princess that is!! This would be a fun addition to my classroom for all my princesses!! What a wonderful book to share with younggirls! What a great giveaway! SOunds like a good one! 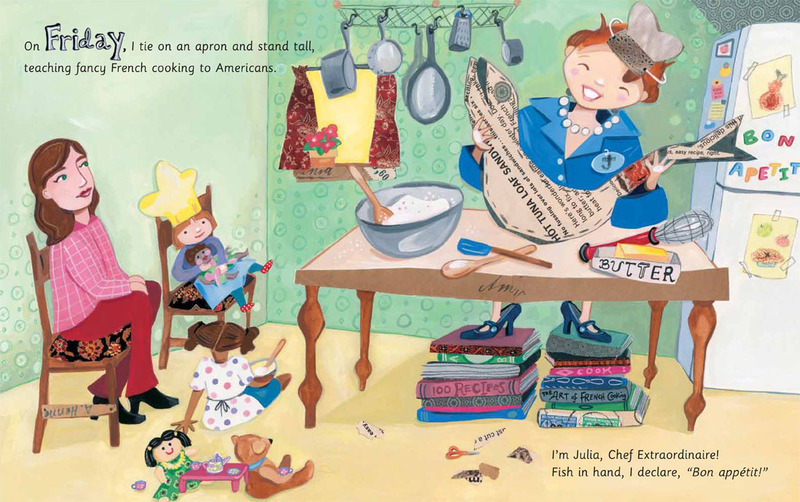 Isabelle would also like the Carmela LaVigna Coyle books “Do Princesses Wear Hiking Boots?” etc. Good to let those girls know they can be princesses and do all the fun stuff too! The book and the other ideas are terrific. My daughter works hard to keep the princess stuff from happening to her oldest, 2 1/2 year old daughter, but it is everywhere! Thanks for the idea of this new book. As a teacher of older students I’ve tried hard to find those books with excellent role models, and now as a literacy coach, I’m working hard to catch up my knowledge of books for younger students. This will add to my collection. Thanks for the sharing. great book…would love a copy! 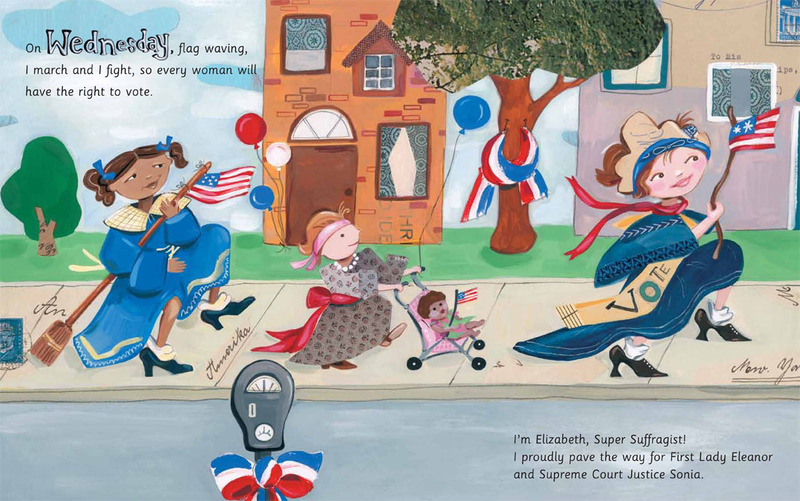 I have granddaughters who love to dress up – I can hardly wait to get a copy for them. Should stimulate some interesting writing from students as well. Sounds like a great book to share with my girls at home and at school! Thanks for sharing! What a great book and what an important topic, with so many bad role models out there, we need to be sure kids are striving to be someone that is worth it. Definitely need a book with strong role models for girls. I wonder what their parents think when they put them into cutesy princess attire. What message are they sending? Would love to have the book in my elementary library. Oh I think we need this book at our preschool. The princess craze is bothersome to me too. I love the idea of offering alternative dress up options. I’d love to have this book in my classroom! I don’t have as much of the princess mania, since my students are third and fourth graders, but they’ve moved on to t-shirts that say things like “my brother does my math homework” and “I’m the cute one”. These t-shirts make me sad. I think having books about women who did (or are doing) awesome things helps counteract some of that cultural narrative of “girls aren’t good for much but looking pretty”.